Apple most powerful Mac is an attractive computer. But do you really need it? Apple’s sure-sellers for the holiday season have been on store shelves for a while now, but for fans of high-powered Macs, Christmas comes early this week with the release of the iMac Pro on Thursday. It’s undoubtedly going to take the crown as the most powerful Mac ever made—and will undoubtedly hold onto that distinction until a new Mac Pro arrives on the scene. There’s a lot to be said for the iMac Pro. It’s the first Mac with workstation-level processors with a plethora of processor cores (8 and up!) since the Mac Pro in 2013. The Radeon Pro Vega is the most powerful graphic processor ever in a Mac. If you’re someone who uses a 5K iMac to get work done today, should you consider buying the iMac Pro or not? Here’s a list of reasons why you should—and also a few reasons you might want to keep that credit card in your pocket. Apple’s Activity Monitor can be found in Applications > Utilities. Not every workflow is built equally. Though modern processors usually feature multiple cores capable of executing code simultaneously, not all software is written to spread the workload across those cores. There are certain audio plug-ins I use that will absolutely swamp a single core of the i7 processor in my 5K iMac—while the other cores remain entirely untaxed. But the right tools, written to grab as many cores as possible and use them to their fullest, will absolutely fly when given the ability to max out the eight to 18 cores in the iMac Pro. Talk to professionals and you’ll probably find that they know exactly what their most processor intensive tool is: For me, it’s the Spectral De-Noise filter in the audio processing package iZotope RX 6. That filter, which does a remarkable job of removing background noise from audio tracks, will max out my iMac’s cores. Even with that, it still takes a very long time to do its job, which is why an iMac Pro would probably be a big time saver for me. If you don’t know if harnessing many processor cores can help you do your job, open the CPU Monitor window in the Activity Monitor app. It’ll show you all your cores (including “virtual cores” used in Intel processors supporting hyperthreading), and you can see whether the most intense work you do is spread across all your Mac’s processor cores, or is limited to just one. If you feel the need for more speed and your apps are already pushing your Mac’s cores to the limit, the iMac Pro would probably give you a big speed boost. Powered by the Radeon Pro Vega, the iMac Pro is a workstation with graphics abilities that outstrip any current Mac. If you’re interested in working in advanced graphics, or VR development, while remaining on the Mac platform, this is the Mac that’s going to be the most capable. But beyond sheer processing power, the iMac Pro supports twice the number of external displays as the 5K iMac. If you’re someone who needs two eternal 5K displays, or four external 4K HDR displays, you need the iMac Pro. Priced at $4,999, the base model iMac Pro comes with 1TB of flash storage and 32GB of RAM. The top-of-the-line iMac, outfitted with the fastest processor available on that model and with RAM and storage specs to match the iMac Pro, costs $3,699. That extra $1,300 nets you a much faster processor with twice the cores, a major graphics power boost, and more. My point is this: If you’re in the market for a high-end iMac anyway, it’s worth considering the iMac Pro. The leap in price isn’t as dramatic once you’re maxing out the specs of the 5K iMac in order to get the most powerful model. Here’s a reason not to buy an iMac Pro: Yes, it comes with Space Gray versions of the Magic Keyboard, Magic Mouse, and Magic Trackpad, color variations that are not available anywhere else—at least for now. While I have no doubt that these keyboards and input devices will be hot items on eBay, please do not buy a $5,000 computer for a keyboard in a slightly darker shade of silver. The iMac Pro, unlike the 5K iMac, doesn’t have a RAM door on the back, which means you can’t buy the lowest amount of RAM possible from Apple and then install cheaper RAM from a third party later. Yeah, that’s kind of a downer; that’s what I did when I bought my 5K iMac. If you’re frustrated with Apple blocking the very last bit of user upgradeability on the 27-inch iMac line, I get it. This is a brand-new model. The iMac Pro, first of its name, with new processors and hardware (and even an Apple-built ARM co-processor, the T2, which probably won’t bring about judgment day). The conventional wisdom has always been, first-generation hardware has quirks and bugs, so it’s best to let the brave jump in on the first go, while the savvy shoppers wait a year for the first hardware iteration that stamps out all the unexpected bugs. It’s not a bad strategy, if you’re a patient person. Are you patient? If you’ve waited this long for a new professional Mac desktop, maybe you are. We know literally nothing about the composition of the Mac Pro whose existence Apple executives acknowledged earlier this year. They made no commitments about when it would ship or what it would contain. We can assume that it will be more powerful than the iMac, and possibly more expandable (it couldn’t be less! ), and won’t ship with a 27-inch display attached to its front. If you simply don’t want to own an iMac, if you really would prefer a (potentially) more expandable and powerful Mac Pro, then it’s probably a good idea to wait. But if you’re someone who uses Macs to get work done, and who needs the fastest Mac in existence to do that job, you might consider this: There will probably be a robust resale market for the iMac Pro when the Mac Pro comes out. 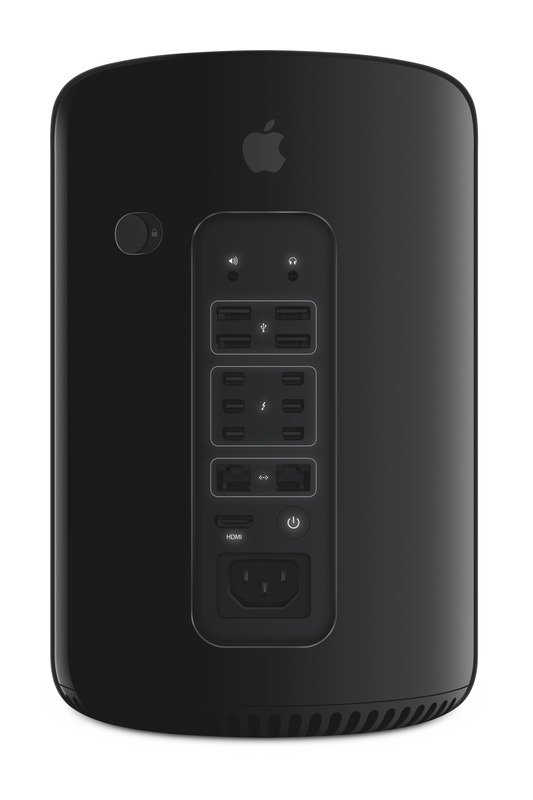 You could always buy this thing and use it until 2018 or 2019 or whenever the Mac Pro arrives, then sell it and put that money toward the Mac Pro. Maybe you’ve been so patient waiting for this iMac that you’re willing to be even more patient. Or maybe you’ve waited long enough. 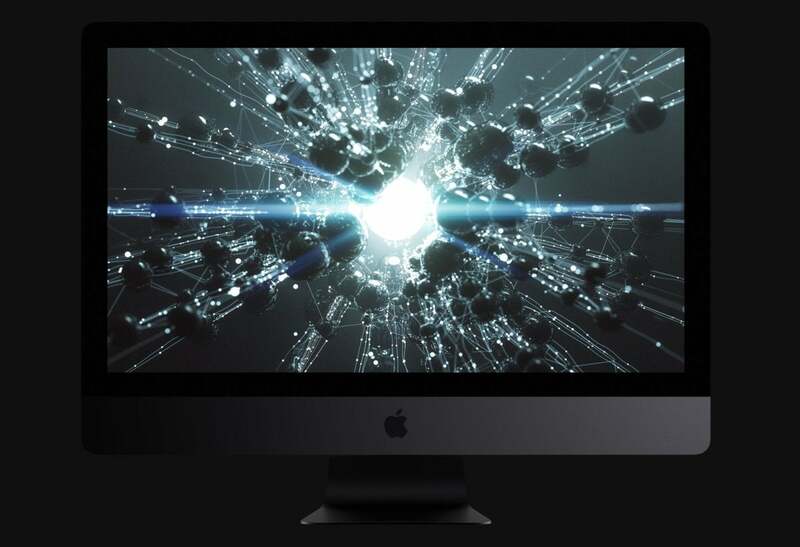 In the end, the difference between those two states may be the ultimate factor in deciding whether the iMac Pro is right for you.